From April 5 though 9, thousands of queer, trans, nonbinary, and otherwise spectacular folks descended on the Tropicana Hotel in Las Vegas for ClexaCon 2018. What followed was a long weekend celebrating the truths we all hold to be self-evident: that representation is important, that fans have the power to create change, and that women should be making out on TV whenever possible. 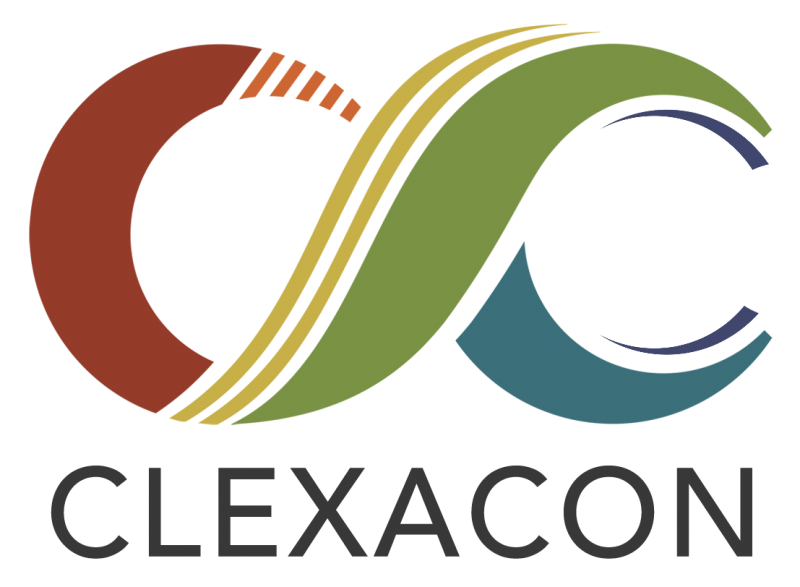 There were as many flavors of ClexaCon experiences as there were attendees, and they range from folks who took to it like a duck to water, to folks for whom the environment presented significant challenges. With that in mind, here is a slice from a cross-section people, from fans, to panelists to creators (including some familiar names). We also invite you to share your own reflections in the comment section, which is open to non-subscribers for this special occasion. 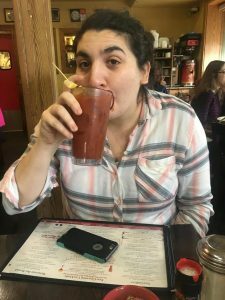 So without further ado: ClexaCon 2018: We Came, We Saw, We Brunched. Part of my social anxiety is that it is extremely hard for me do social things alone. It’s hard to explain, but it is almost a physical paralyzation. Just thinking about attending social events alone increases my heart rate and a large lump forms in my stomach and throat. This results in me often missing things I really want to go to. 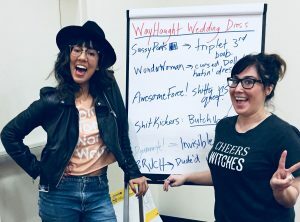 For this reason, I had been apprehensive of whether or not to go to ClexaCon because I knew I would be going alone, and I would be in a foreign environment with none of my safety blankets at my disposal. After long and careful consideration I decide that I wouldn’t really be alone because not only would I be surrounded by queer women who were just as invested in TV as I was, but I would be there with my fellow Earpers and Twitter friends. Every time I thought about that, my fear slightly subsided. When I got into the Con, it was an absolute joy to walk around and see all of the amazing fanart, but after I did that for an hour or so I didn’t know what to do with myself. I had no friends that came with me. My biggest fears for why not to come were coming true within the first few hours. I found a few faces of Earpers that I met at different meetups and talked to online, but after saying hi and introducing myself, it felt like I was just on the outside trying to poke my way into an already solidified friend group. For the most part, that is how the rest of my day proceeded, only finding solace in the panels I attended, which reminded me why TV has always been so important to me. It has been my friend when I didn’t have any. It was my Friday and Saturday night plans in high school because I had no other alternative. That night, I sat in my room, feeling more sad and lonely than I’ve felt in ages. This was supposed to be a lesbian Mecca where I was around my fellow people who were open and accepting and I felt like I was back in HS. It was then that I decided to go for a walk to CVS and during the walk I saw on Twitter that another group of Earpers were hanging out at a different bar. I only knew one of the girls that would be there, and I had only met her earlier that day while waiting for a panel, but I decided to put myself out there one more time. To my delight, they accepted me with open arms and I had a great night. I am so grateful they did, because that was the tipping point for what would become an amazing weekend that I will truly always treasure (besides dropping my phone in the toilet). I think that if we are a community that stands for acceptance, support, and inclusiveness on the internet, we also have to practice those values when we meet in person at these cons as well. If there is an Earper that is alone at a Convention and they introduce themselves to you, ask them what they are doing later. Invite them to your group dinner. Make them feel like they are valued in this community because there are so many places that we aren’t. It is hard to explain the gratitude I feel toward ClexaCon. This year had grown exponentially (for better or worse) and the Earpers were there in droves. It also fell right when I was about to deliver the last script of season three to production so it signaled the near end of ‘making’ more show and the exciting next step when we get to promote said show. For me, ClexaCon is one of the most personal and moving cons I’ve been lucky enough to attend. While it attracts all types, there’s no denying the sheer amount of women who show up to celebrate the things they adore. It really makes me realize how often I live and work in predominantly male, straight spaces, and a) how sad that is while b) also getting emotional about what women can and will accomplish when we tell our own stories. The con is, for the most part, extremely warm and welcoming and as an extroverted introvert, I truly enjoy meeting fans who have been gracious enough to watch and enjoy the things I’ve fought, with so many other extraordinary women, to make. The thing I dread AND enjoy the most is my writing workshop. I really stress out about teaching (I’m still learning) and I want people to feel they learned fun and practical lessons about scriptwriting. But more than that, all I want is for the women and LGBTQ individuals who attended to feel inspired to write their OWN stories, whatever that might be. We need them, now more than ever. This is the time, dammit. And as ClexaCon proves in spades: there is an enthusiastic audience waiting for them. I had such an amazing time at ClexaCon this year. One of my favorite things about the con is that it is two things in one. There’s the entertainment side, with the actors, producers, show runners who we all love, some of whom have changed my life with the characters they portray. But there’s also the educational and community side. I learn so much every year from the smaller panels and just speaking to people that I meet there for the first time in person. One of the things I learned this year was about myself. 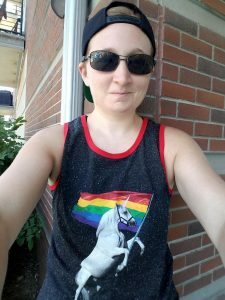 I went into the con with questions about my own gender identity. The con just happened to be perfect timing for me to try out some new pronouns that I’d been pondering but too scared to really try in my regular life. The people I spent the con with, both longtime friends and brand new ones, were so enthusiastic about using my “trial” pronouns that I didn’t even feel any shame about crying in public when I became overwhelmed with how right ey/em and they/them felt to hear coming out of other people’s mouths. I don’t think I could have found a safer environment to discover/confirm that I really am nonbinary. As wonderful as meeting the actresses who portray characters I love was, I think that the culture of kindness, generosity, and kinship that I found at ClexaCon this year is what truly made it an amazing experience for me.